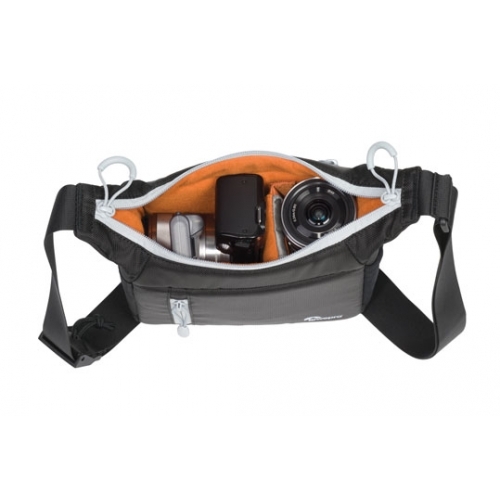 The slim and stylish design of Lowepro’s StreamLine 100 almost conceals the fact that it’s purpose built to fit and carry a compact system camera kit, plus a few extras. 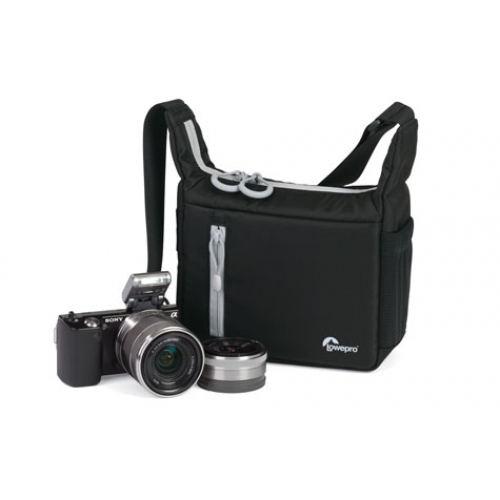 Compact, lightweight, yet truly protective, this sleek shoulder bag provides an easy and comfortable way to keep your camera gear within reach. 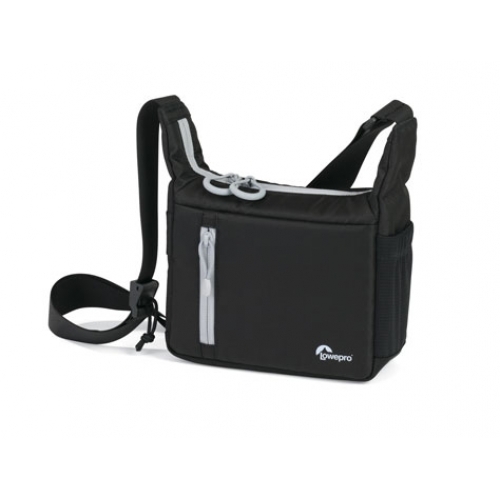 And keep your carrying solution refreshingly modern. 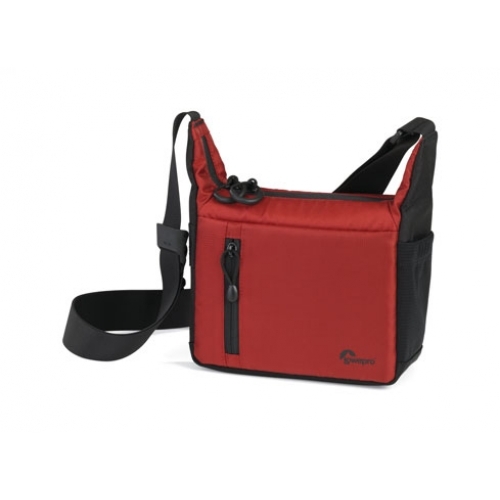 Outside, two zippered pockets and a mesh pocket provide just enough space for a few small necessities—like a phone, lens cap, or ID. A SlipLock™ attachment loop makes it easy to attach a compatible lens case and expand your carrying capacity. 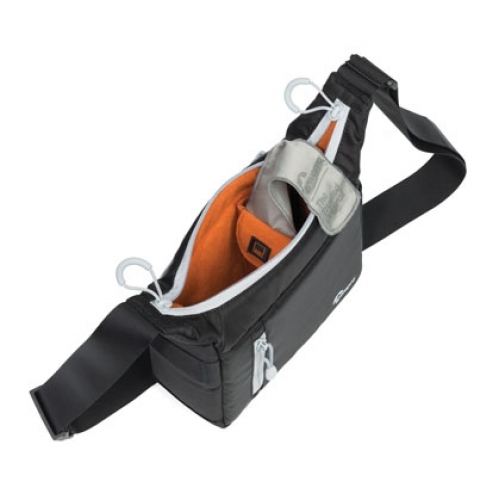 The shoulder strap adjusts and locks into place so the webbing is neat and taut whether you wear the bag across your body or over your shoulder. 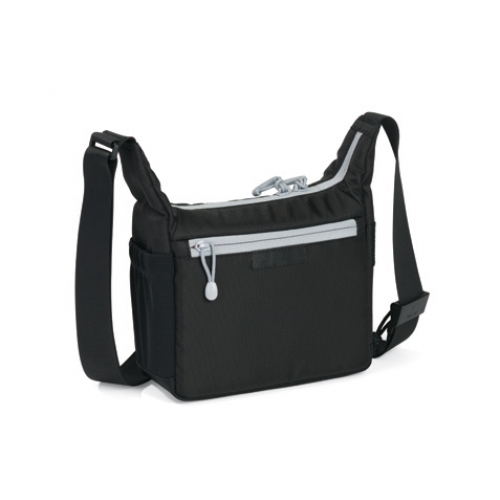 An extra-wide, zippered opening with U-shaped pulls gives you easy access to the interior.